Five years ago our ground breaking One Planet MBA programme at the University of Exeter Business School redefined the purpose of an MBA and the purpose of business education. Embedding the values of responsible management and the principles of transformative leadership, our One Planet MBA is specially designed for what we call, “professionals in transition” – individuals like yourself who have worked for a number of years and wish to take stock, reflect on their careers, find ways of leveraging their strengths and discover new opportunities while upgrading their skills and knowledge. 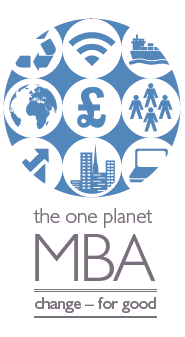 More than ever in 2015 does the One Planet MBA stand for personal transformations. And more than ever will we help you change. For good.